The IIUM Engineering Journal, published biannually, is a carefully refereed international publication of International Islamic University Malaysia (IIUM). Contributions of high technical merit within the span of engineering disciplines; covering the main areas of engineering: Electrical and Computer Engineering; Mechanical and Manufacturing Engineering; Automation and Mechatronics Engineering; Material and Chemical Engineering; Environmental and Civil Engineering; Biotechnology and Bioengineering; Engineering Mathematics and Physics; and Computer Science and Information Technology are considered for publication in this journal. Contributions from other areas of Engineering and Applied Science are also welcomed. 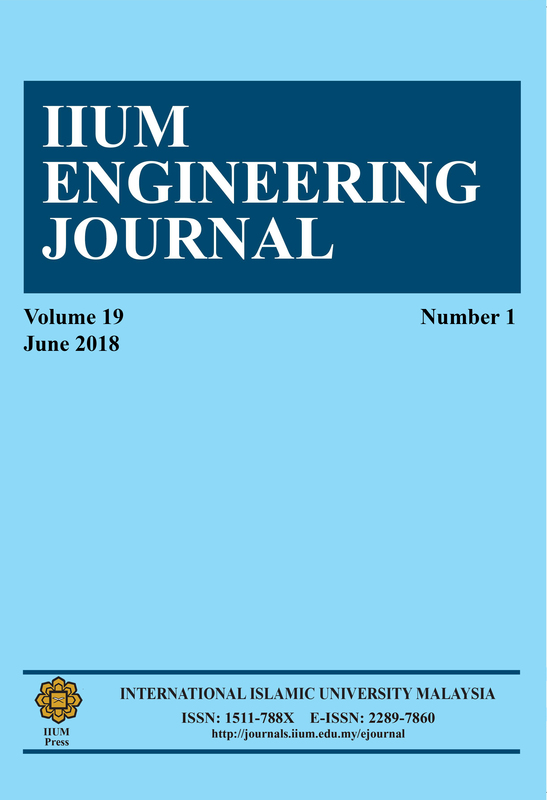 The IIUM Engineering Journal publishes contributions under Regular papers, Invited review papers, Short communications, Technical notes, and Letters to the editor (no page charge). Book reviews, reports of and/or call for papers of conferences, symposia and meetings, and advances in research equipment could also be published in IIUM Engineering Journal with minimum charges. All papers submitted to IIUM Engineering Journal will be subjected to a rigorous reviewing process through a worldwide network of specialized and competent referees. Each accepted paper should have at least two positive refereesâ€™ assessments. <! [if !vml]> <! [endif]>A manuscript should be submitted online to the IIUM-Engineering Journal website: http://journals.iium.edu.my/ejournal. Further correspondence on the status of the paper could be done through the journal website and the e-mail addresses of the Executive Editor: zahirulalam@iium.edu.my Faculty of Engineering, International Islamic University Malaysia (IIUM), Jan Gombak, 53100, Kuala Lumpur, Malaysia. Phone: (603) 6196 4529, Fax:(603) 6196 4488. Tibor Czigany, Budapest University of Technology and Economics, Hungary Yiu-Wing Mai, The University of Sydney, Australia. Whilst every effort is made by the publisher and editorial board to see that no inaccurate or misleading data, opinion or statement appears in this Journal, they wish to make it clear that the data and opinions appearing in the articles and advertisement herein are the responsibility of the contributor or advertiser concerned. Accordingly, the publisher and the editorial committee accept no liability whatsoever for the consequence of any such inaccurate or misleading data, opinion or statement.